Welcome to the first post of my new series, “The Science Behind…”! If you haven’t read the recipe I’m referencing here, CHECK IT OUT then come back. 1. How is sandwich bread different from bread that only consists of flour, water, yeast and salt? Think of the bread you probably ate sandwiches on as a kid – it’s soft, slightly sweet, and has what’s called in the business a “tight crumb.” That is, very small holes as opposed to the large holes in french bread or ciabatta. After all, we can’t have the jelly leaking out! Fat and high protein content are what give sandwich bread their characteristic softness and tight crumb. This recipe has three sources of fat: milk, egg yolk, and bacon drippings. It has two sources of protein: the high protein content of bread flour, and the egg white. The sweetness comes from the honey. 2. How can I incorporate fat into my bread without messing everything up? 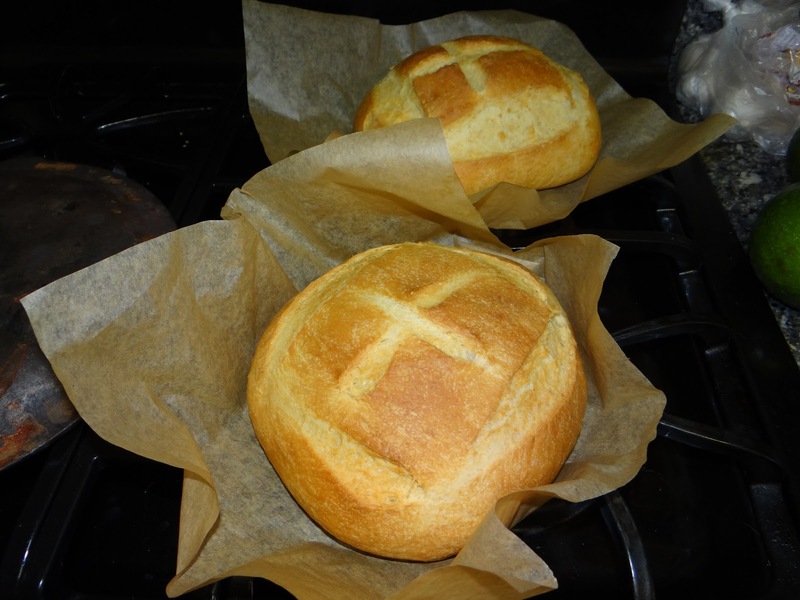 The most important factor in making successful bread is maintaining the right ratio of water and flour. This ratio is called hydration, and it’s super important for the development of gluten, which gives loaves of bread their structure. What do you see in this recipe? There’s no water as such. There’s milk. Bacon drippings. Egg. Honey. This recipe has a lot of different wet ingredients, but none of them are the same as water. Because of this, they aren’t absorbed in the same way water is. Milk, egg yolks and bacon drippings all have fat in addition to water (milk also has a negligible amount of protein), and egg whites have protein. 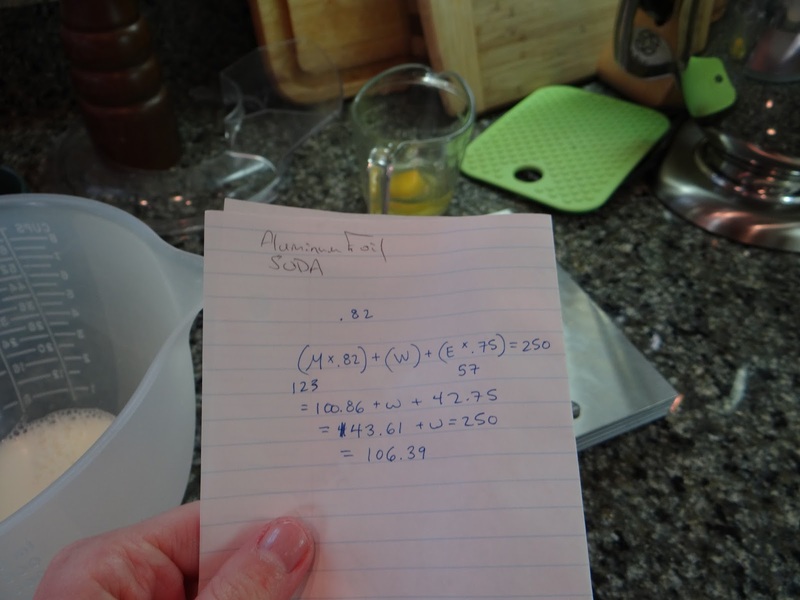 If you add up the total weight of the wet ingredients in this recipe, you get 425+85+85+50=645. 645/795 = 81% hydration. Clearly that isn’t right, because at 81% hydration, the dough would be very wet and difficult to manage. This dough is supple and easy to handle. So we need to calculate what the actual hydration is by taking into account each ingredient’s percentage of water. Therefore, the actual hydration of this loaf is 404+26+45+17 = 492/795 = 62% hydration. Ok, confession time: in this case, you really didn’t need to do all this math. 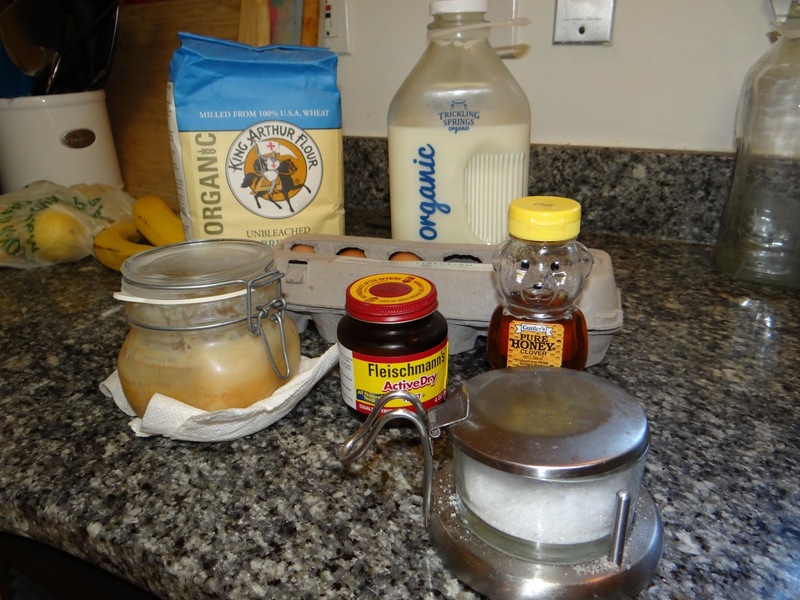 Peter Reinhart already did the math and figured out that the recipe would work with the water content of the above ingredients. But if you wanted to make up your own recipe or figure out what would happen if you added an egg to another recipe, you would need to use the water content of the egg to figure out the total hydration of the dough and make sure it would work and not become a gloppy mess. BUT WAIT! Before we leave the topic of fat and hydration: Eggs are a special case. Because the yolk has fat and the white has protein, you need to be careful just adding it to a dough that isn’t enriched with anything else. 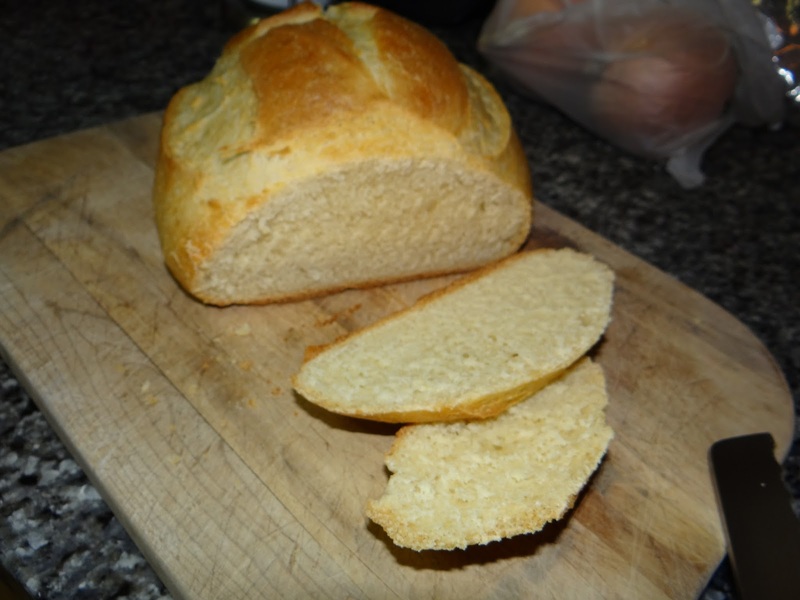 While the egg yolk adds softness to a dough, whites add protein strands which increase the chewiness of the loaf. Too much protein and the loaf will be too tough. For this reason, Peter Reinhart adds milk and oil, butter or bacon grease in addition to the egg. 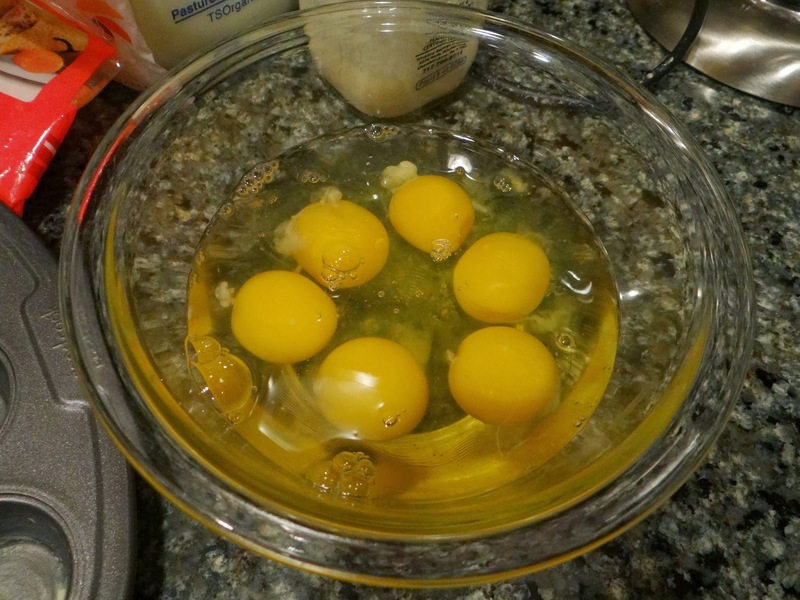 Another adaptation I’ve seen has you add one egg plus an additional egg yolk to increase the fat. It’s up to you which you prefer. 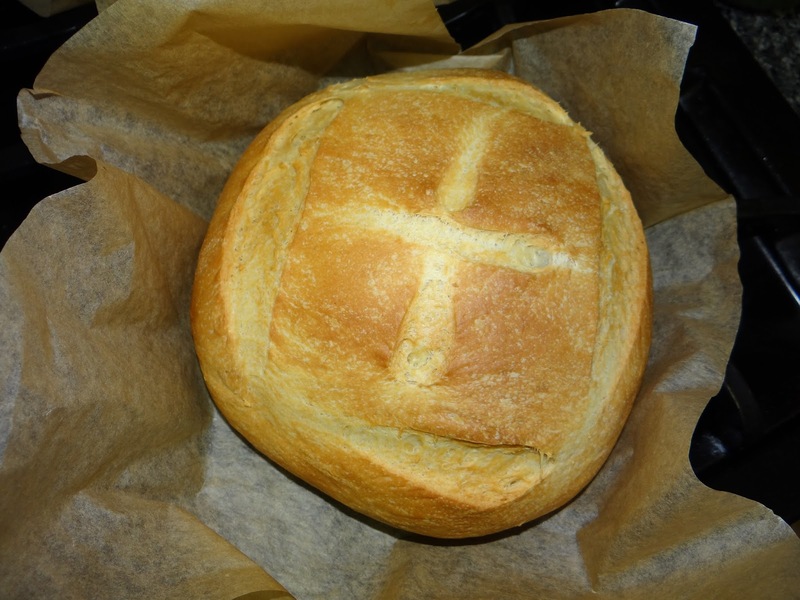 Most breads are improved by letting the dough rise for a long time with a little bit of yeast. The USDA cautions against leaving raw egg and milk out on the counter for long periods of time, so this recipe cuts down on the time the bread needs to rise by adding more yeast than usual. When you add more yeast, it is vital that the gluten “net” be formed quickly by kneading. Otherwise, all that gas created by the yeast will escape and the dough will not rise, or it will quickly deflate when it bakes. 3. How does the addition of fat impact the baking process? 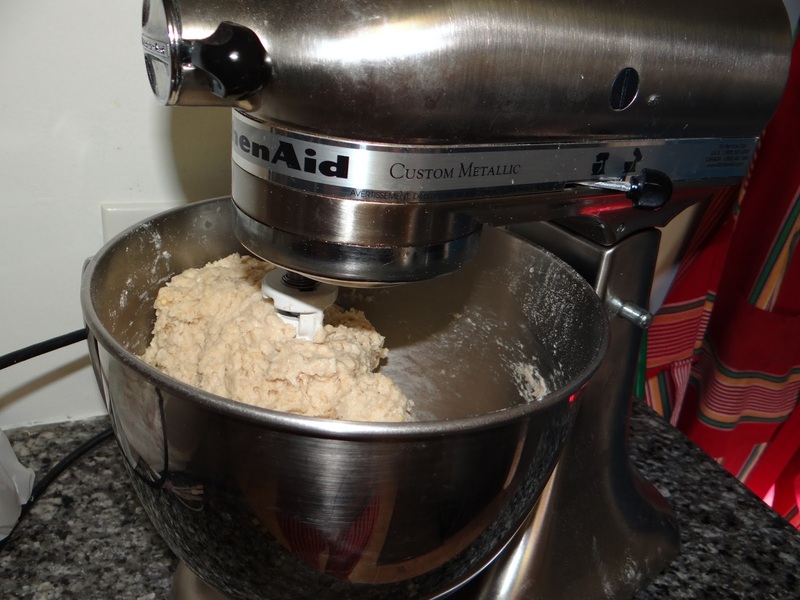 Dough with fat and sugar will brown more quickly than un-enriched dough. Therefore, in a hotter oven you run the risk of burning the crust while the inside of the loaf is still raw. 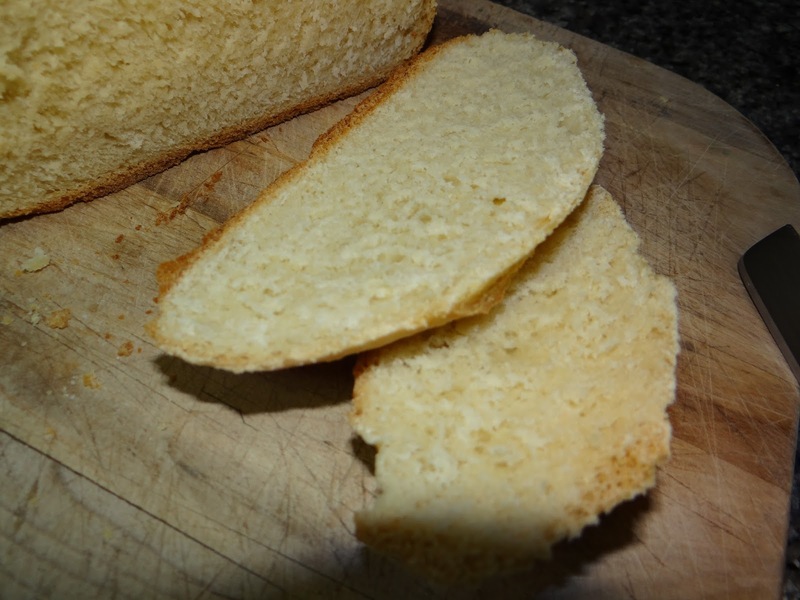 For sandwich bread, you want a soft crust. A hotter oven produces a crustier crust. I hope you enjoyed this first post in “The Science Behind…” series! If there’s another aspect of bread science you wish to explore, please let me know in the comments.